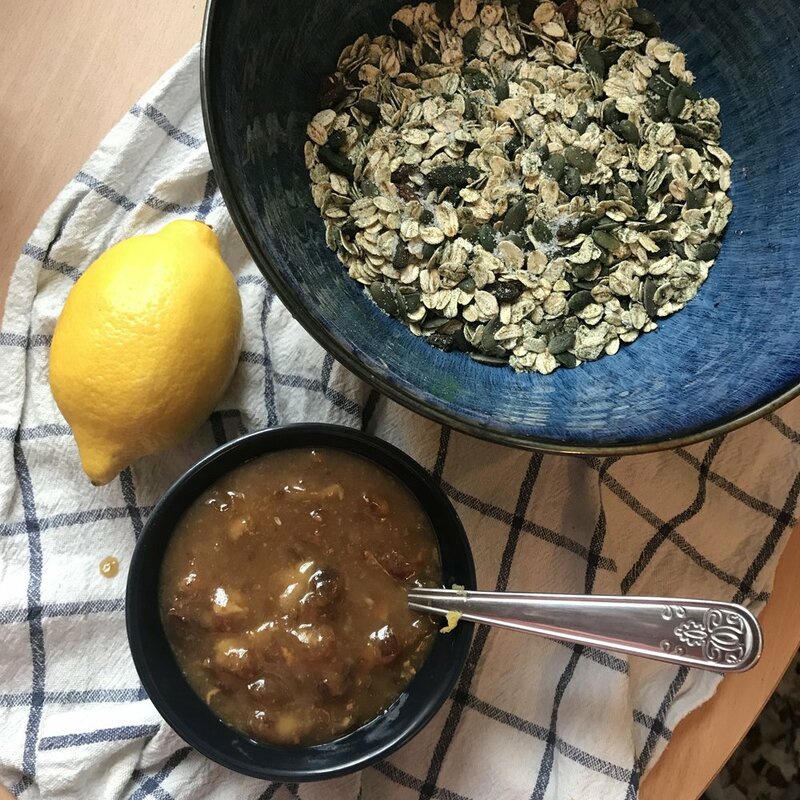 News & Events — Alchemy Juice Co.
Folks, we are delighted to share with you some of the recipes that were entered into our healthy treat competition. They were all gorgeous so we thought you could make them too!!! First up are these amazing Lemon & Spirulina Bars by Angela Bruni, one of our two joint winners! 1. Chop dates into small pieces and add chopped dates, coconut oil, sweetener of choice, almond butter and lemon juice to a small pan. Cook on medium until the dates are soft and make a paste with the other wet ingredients. Set aside. 2. In a separate bowl add the goji berries, sesame seeds, pumpkin seeds, ground flax, chia seeds, spirulina and oats. Mix until everything is well incorporated together. 3. Add wet ingredients to the dry and combine until the mixture has a sticky consistency. 4. Take a loaf tin and line with parchment paper. Add the bar mixture in and press down until uniform. 5. Refrigerate for at least 3 hours and cut into bars. The recipe makes 6 decent shaped bars perfect for work, school or even post workout. WE NOW DO OFFICE CATERING!!! Folks, we are delighted to announce the beginning of the Alchemy delivery service, so if you want to cater a meeting, treat your staff or feed the crew, we can bring you the finest, healthiest and tastiest food around!!! Email Event@alchemyjuice.ie now to get our full and extensive menu sent to you! This is a whole new concept of fresh whole-foods, salad boxes and Vietnamese style banh mi baguettes plus amazing cold-pressed juices and smoothies. We also have a selection of sandwiches and treats from our sister company Joe’s! And we specialise in food for vegans and vegetarians as well as having wheat-free, paleo and low-carb options! Something for everyone! We serve breakfast & brunch platters, individual Alchemy salads and sandwich and wrap platters. Uniquely we also have brioche buns, banh mi, acai bowls and individual salad bowls, as well as delicious flasks of Cloud Picker specialty coffee. Perfect for working lunches for staff and clients as well as for seminars and group meetings!!! We deliver to your door but we do need 48 hours notice and a minimum booking of €50. Note: We only deliver to the greater Dublin area. Minimum number of guests for platter orders is five and orders should be placed in multiples of five. Delivery charges start at €5 and vary depending on the distance. Free delivery for orders over €80 in Dublin 1, Dublin 2, Dublin 4 and Dublin 18. And, of course, terms and conditions apply! For more, email Event@alchemyjuice.ie now!